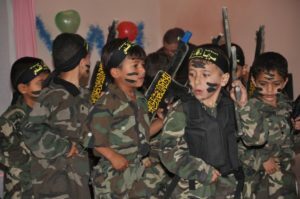 An Islamic group is reporting on a recent kindergarten graduation ceremony in which Palestinian children reenacted acts of terrorism and the ongoing struggle between Arabs and the nation of Israel. 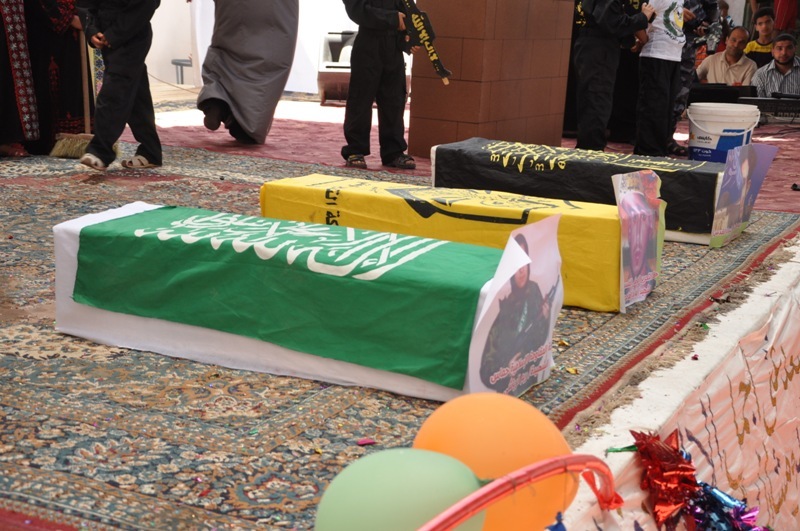 The organization, called Al-Quds Brigedes, posted numerous photos of the Gaza Strip ceremony, along with quotes from children and teachers who were interviewed by a media correspondent. “At every kindergarten graduation ceremony we focus on the children to represent the role of struggling and resistance in the way of Allah so they will grow up to love the resistance and serve the cause of Palestine and holy Jihad, as well as to make them leaders and fighters to defend the holy soil of Palestine,” one teacher stated. 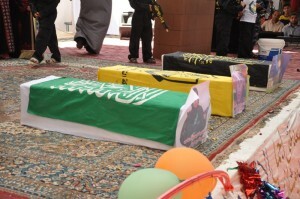 The children are dressed in military fatigues, wear face paint and hold fake wooden machine guns. 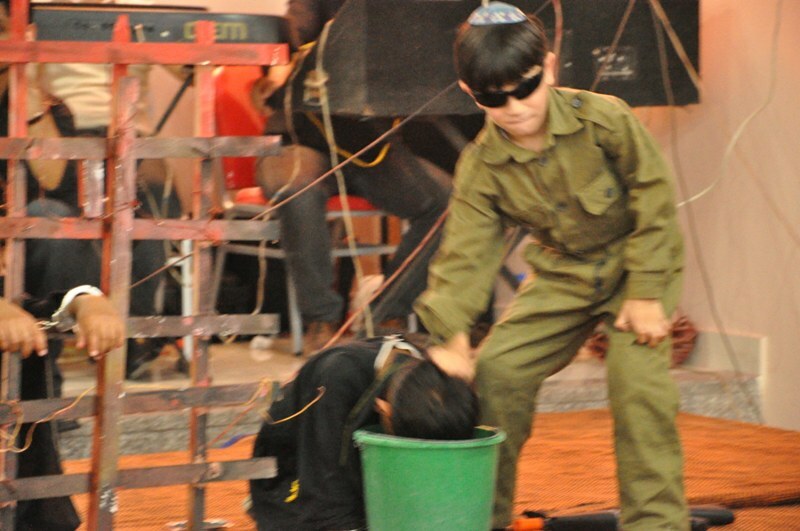 Some play the roles of Jews, and others are Palestinian fighters. Several photos show the children reenacting hostage situations, placing their classmates behind wooden bars. 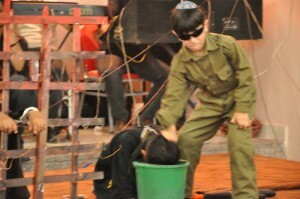 One photo shows a child acting as an Israeli waterboarding a prisoner. Parents looked on as their children acted out terrorist techniques in the fashion of a school play. The Arab-Israeli conflict has been ongoing for decades, and is partially a territorial war, while also serving as a religious battle between Jews and Muslims. It is reported as escalating during the turn of the 20th century due to the rise of Zionism and Arab Nationalism. However, others may view the struggle as dating back to the Biblical times of Isaac and Ishmael, the sons of Abraham, who later became the fathers of Israel and Palestine.